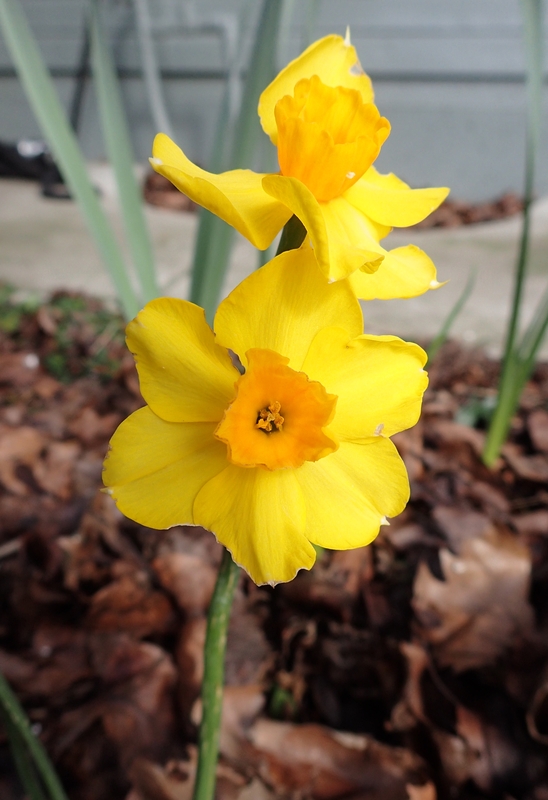 Narcissus are problematic in my Suisun City garden. Some naturalize well but others fizzle after a first season of bloom, producing only leaves until I find the time and energy to dig them out. On October 3 last year “Bill the Bulb Baron” (William Welch) presented an assortment of his Santa Cruz bulbs to Master Gardeners at the Woodland UCCE auditorium. I was dazzled! My garden is devoted to flowers, preferably fragrant ones. His wares included many varieties of fragrant tazetta-type Narcissus. I could not resist taking the plunge with three, and planted them all in locations that get plenty of winter sun. Always enchanted by discovering perfumed Narcissus tazetta--Chinese sacred lilies--still gracing the sites of vanished Gold Rush homes, I decided to give them a second chance. Several years ago, bulbs that bloom profusely year after year for my sister-in-law in Santa Barbara gave me a few flowers the first year, then—the leaves. I thought that I may have failed because I watered that ground in summer, whereas Bill emphasized that these heirloom Narcissus thrive on summer's baking drought. 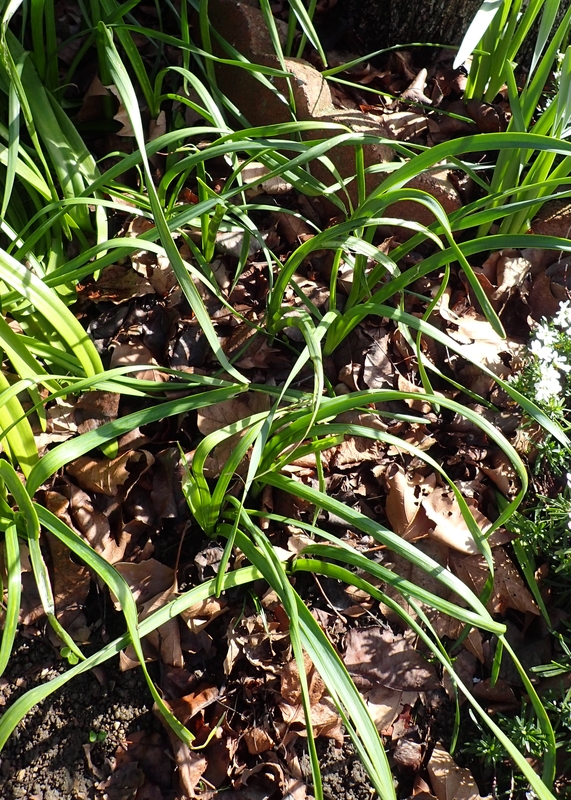 Well…this time, after planting the bulbs immediately after purchase I got leaves but NO flowers. My new theory is that Suisun City simply does not get enough winter cold for this Narcissus variety. In contrast, N. tazetta ‘Lemon Cups' are performing beautifully—the clear winner in this tale. Also planted right after purchase in early October, they started blooming in mid-February. Each 17-inch stem has five 2-inch diameter florets with a sweet citrus-y perfume. Early October is an OK time to plant bulbs; the end of November not so much. I think that not finding the time to plant N. tazetta ‘Golden Dawn' until after Thanksgiving ruined my chances of success. All six bulbs put up scraggly leaves by mid-February but only one bloomed, with two 1 3/4-inch florets on a weak, nodding 12-inch stalk. Those flowers are lovely: clear yellow petals around an orange center fading to apricot at the frilled edge. Their fragrance is fabulous. I missed the boat by not treating those poor bulbs better. 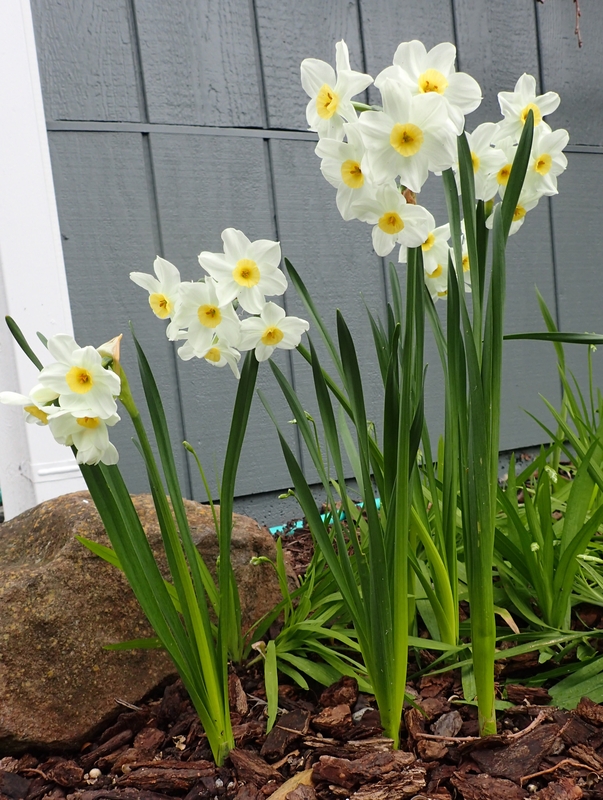 Here's hoping that ‘Golden Dawn' recovers and that they and ‘Lemon Cups' both bloom well next year--the true proof of Narcissus success in my garden. As for the Chinese sacred lilies, my cousin in Grass Valley, a Nevada County Gold Rush town, wants the bulbs after I dig them out. I bet they will do well for her.